This was a busy year for service design . 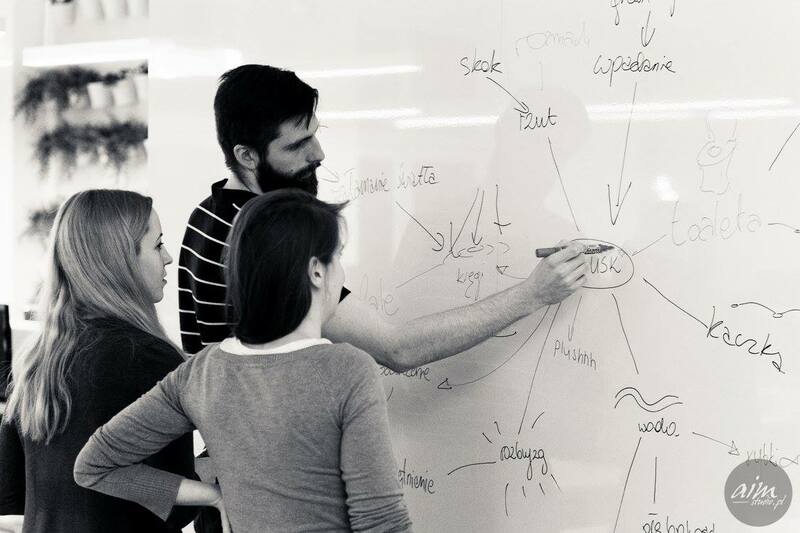 Our friends at BLStream organized “Basics of service design. UX#3”. 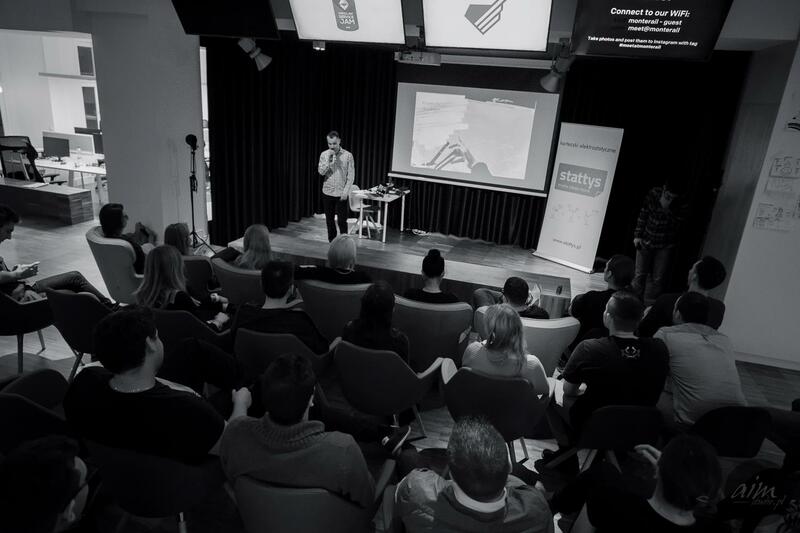 A few months back there was a first Service design drinks event in Warsaw, organized by the guys from Service design Berlin (an event that took place in November). In October there was the Service Design Global Conference in Amsterdam and from what I’ve heard it was an event you cannot miss. And it’s great. There is no such thing as abundance of knowledge sharing and there will be more! In just three days we are partnering with Wrocław Service Jam to bring you one of the best service design workshops possible and definitely the funniest. I know what I’m talking about, because we did once already. 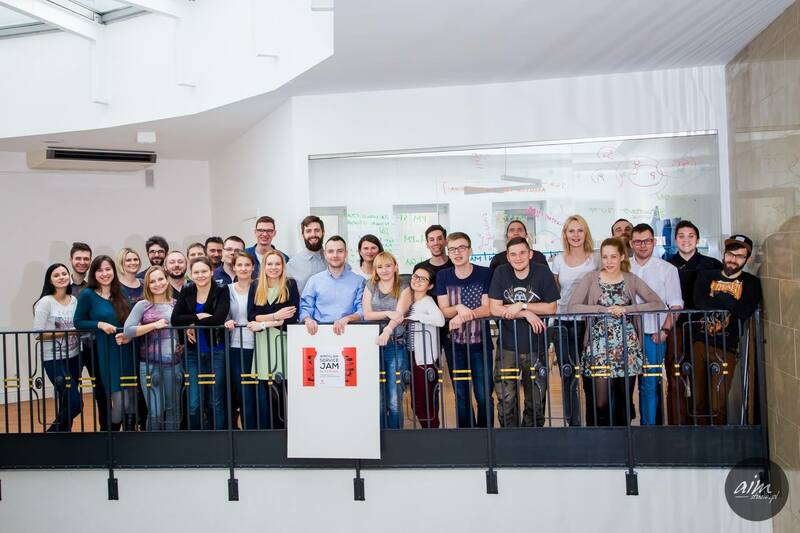 In January last year, lovely people from wroclawservicejam.pl told me about an idea of Global Service Jam that they wanted to propagate in Wrocław. The reason they came to us, is that we host a number of repeating events already: monthly meet.js and angularJS and quarterly UX Wrocław. And it’s because we have a great office that is adaptable for different occasions. We also have an internal culture of learning and sharing and it seemed quite natural that we should open our doors for yet another — this time annual — adventure. And an adventure it was! Three of our own designers took part in the workshop and came out with knowledge, joy and extreme fatigue—of course a positive one—after 48 hours of intens process of learning and creation. But what a global service jam is? from a music term jam session it’s a time and place where participants are free to experiment on a given subject. Of course methods, rules, and time restrictions are defined, just like in a music jam, where you define instruments and you play in a certain key, so that musicians are in sync with each other. In a service jam, though, you create services instead of music and you have about 48 hours to do so. Every hour is planned and the aim of the event is to engage highly diverged participants in a process of creation through cooperation and use of tools of service design. The aim, as always, is a better customer experience and — in effect — a better business for the service provider. The core idea being — you don’t focus on a physical artifact that you design or build with your team, instead focusing on the bare need of a person or group of people and means of satisfying this need. To dive deep into the creative process of service design, participants are introduced with tools of design thinking like: Ideation, Customer Journey Map, Persons, Blueprinting, Moments of Truth; analytical technics like: Benchmarking, Mystery shopping or Shadowing and elements of drama like: Storytelling and Bodystorming. simply put this idea is for people around the world and it is fantastic. Unlike the World Usability Day where you can choose a date for your city that is different than anybody else, Global Service Jam has one date for everybody. It has pros and cons, but I’m eager to focus only on the advantages of this solution. With one date you make this event more local. If there are 4 cities participating, then it’s certain that you will have local participants. Nobody will go for everyone. GSJam 2016 Secret Theme video from Global Service Jam on Vimeo. Why did you decide to take part in the workshop? Patrycja: To meet new people that are working in similar companies, to learn new design techniques, to learn more about designing services, not only applications. To compare my way of thinking, working and creating ideas with other people's designing habits and their processes. 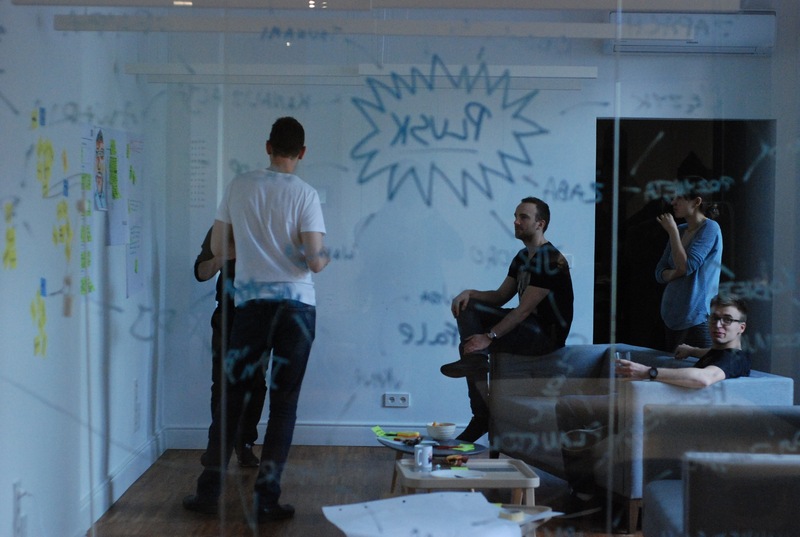 Marcin: I decided to take part in the workshops because I’m amazed by the main concept of Service Jams. A challenge to design a service during two-day workshops sounds great. Additionally, I was very curious how the project of my team will look compared to the other teams. Did you get to know a design method that was unknown to you? Was it a breakthrough? Patrycja: Yes, preparing service blueprint, and generally designing a service that is not an application was something new for me, especially that our team decided that we want to design sth new, that will be different from our daily work duties. I've learned also some techniques for creating ideas that are based on associations. Marcin: Most of the methods were known to me so it wasn’t breakthrough but it was a great occasion to recall all of them during this weekend. I’ve also learned about new points of view from other participants and my teammates. What are your key takeaways workshop? What is the greatest gain? Patrycja: The impression of being in the vivid environment with many creative people and that we have so many ideas on how to improve our current lives, and that feeling of collaboration and sharing experiences was really great. What do you think about the form of the workshop? Patrycja: From one hand, there were many things to do in a quite short time, but generally, the idea was to learn as many new creative techniques as possible within this 2 days workshop form. The short breaks for so-called energisers , short socializing games, were really helpful to get through all the tasks and were creating collaborative and friendly atmosphere. Marcin: According to form of the workshop - I think it was well well organized. I’m glad that I could to take part in this event. Very interesting people, tons of new shared knowledge, fancy Monterail office and creative atmosphere. Couldn't be better! In those 48 hours, 6 groups of highly diverged people, from different backgrounds and companies, created amazing service propositions and had lots of fun in the process. All of the results, which are open sourced, can be found on the Global Service Jam portal. I think it’s safe to say that we cannot wait for what will happen in three days in our office. If you are a Wrocław person, you can still sign up till 8pm local time. *All photos included in this article were conducted by AIM-Studio - a great photography studio in Wrocław.